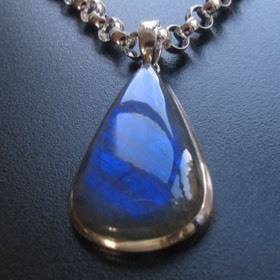 Labradorite silver necklace with hand made chain. 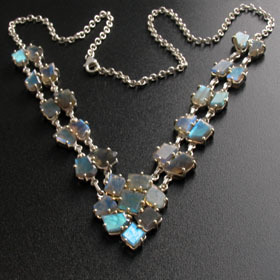 If you're looking for a necklace to make a statement, this is it. 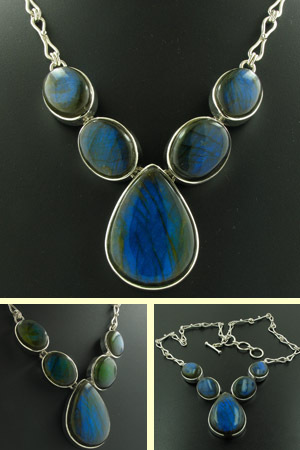 The necklace combines 5 large labradorite gemstones glowing with sensational iridescence. 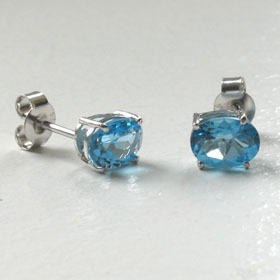 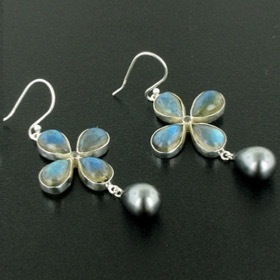 These labradorite stones are perfectly matched and are alive with floating blue colour. 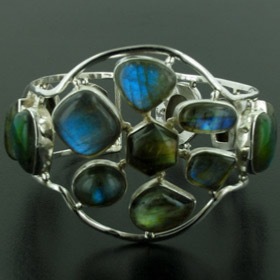 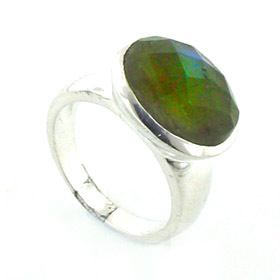 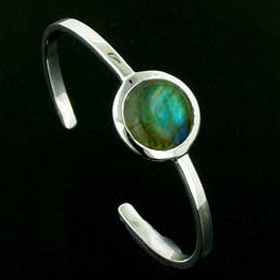 See About Gemstones for more information about labradorite. 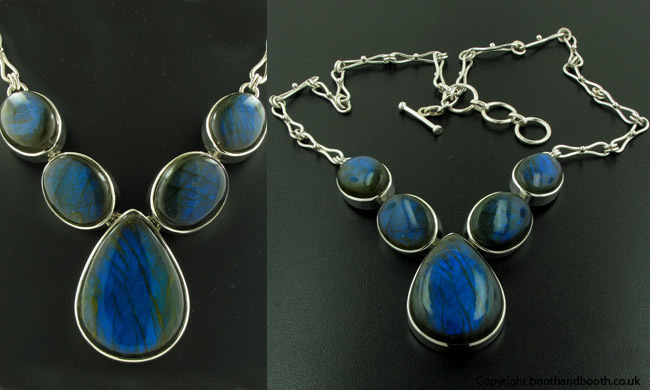 The necklace features a unique hand made chain and fastens with a toggle clasp.